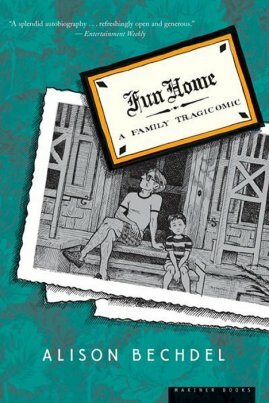 Even though it had been highly recommended to me repeatedly, I didn’t get around to reading Alison Bechdel’s graphic memoir Fun Home until after I saw the musical at the Circle in the Square on Broadway. It’s rare that I retain enough interest in something to read the book after having seen the movie or the play, but I knew I would this time. The musical, which grabbed five Tonys, was such a fresh, original take on memoir, with subject matter so foreign to the Broadway stage, that I knew I would enjoy, at the very least, mulling over the differences between book and play. 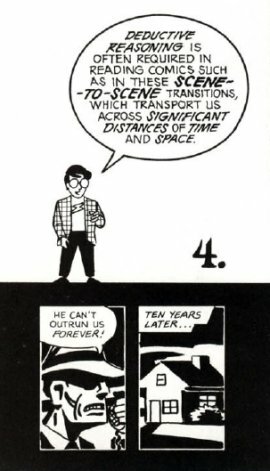 But then I remembered Scott McCloud’s brilliant graphic book, Understanding Comics.